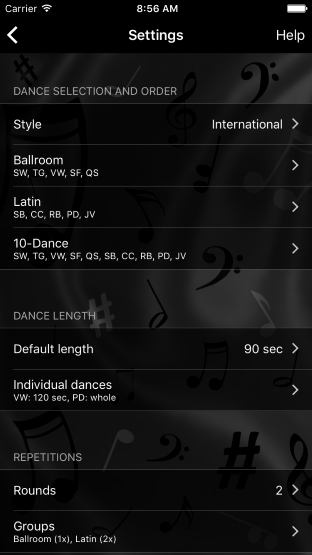 OnTheFloor is an app for competitive dancers in the ballroom, latin, smooth and rhythm sections which makes final round practice really easy. 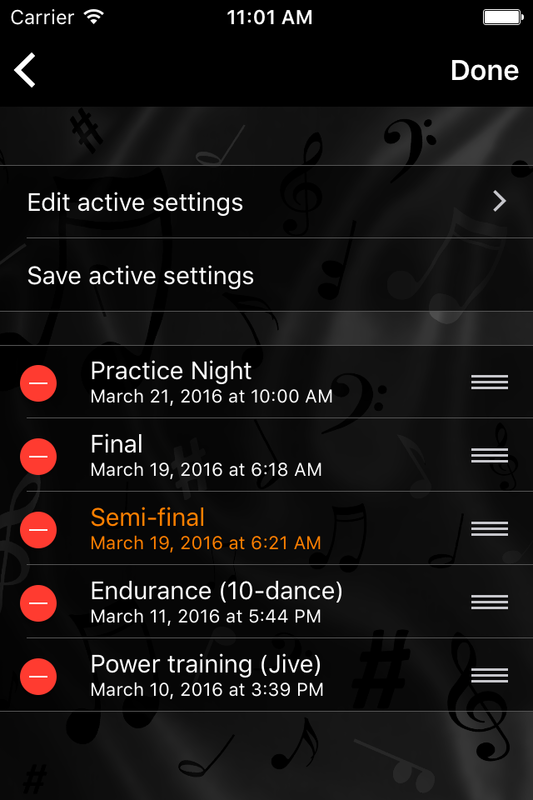 Forget about manually changing tracks and checking your watch all the time. 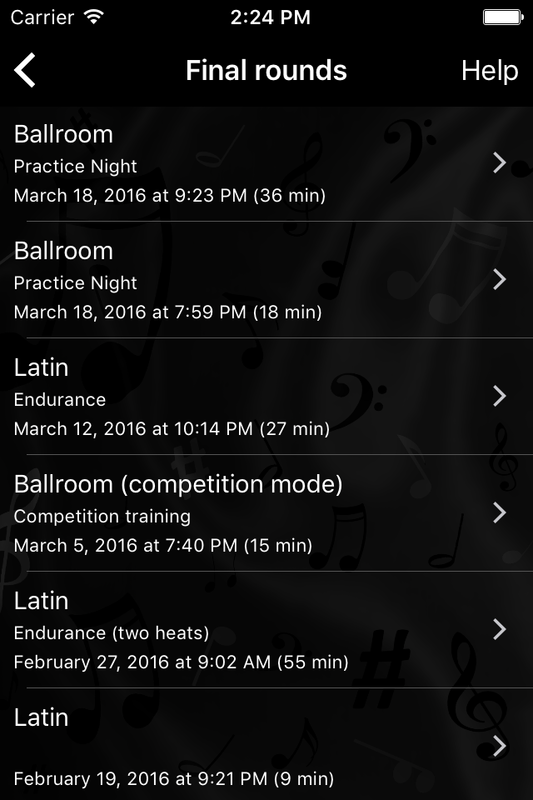 With OnTheFloor, you can focus on what's important: practicing. 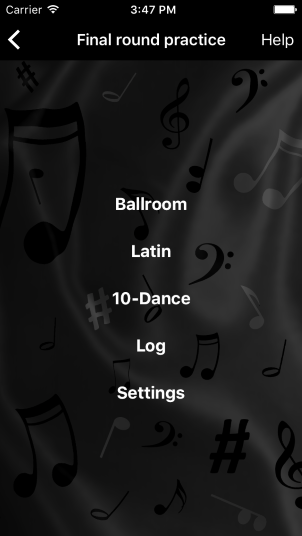 Just tell OnTheFloor where your dance music is and how you want the final rounds to be played (e.g. 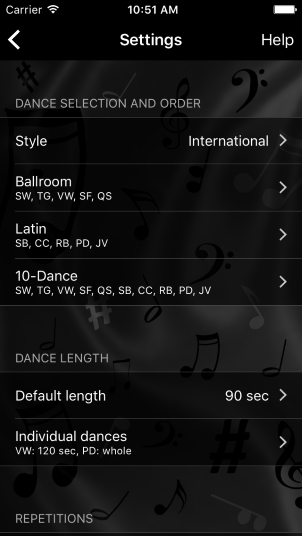 dance and break lengths, dance order, number of rounds, etc.) and that's it. Afterwards, you can start final rounds with random music within seconds. 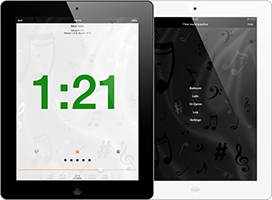 OnTheFloor plays final rounds just as you need them. 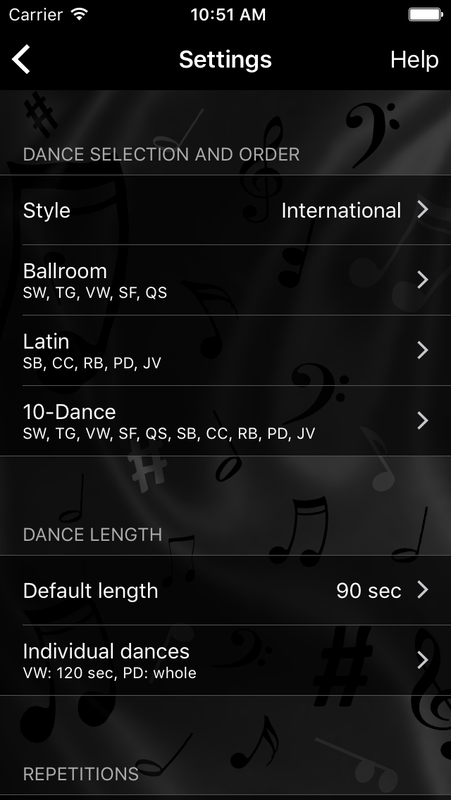 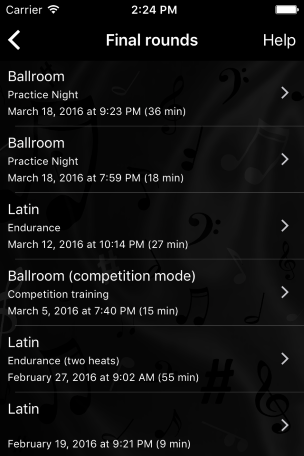 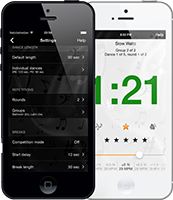 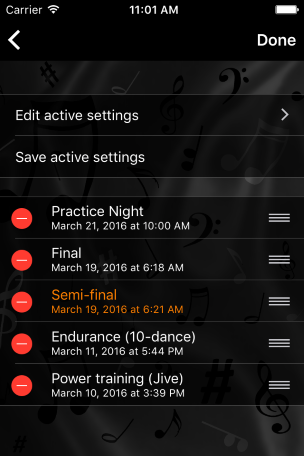 Individual dance lengths, multiple heats, optional playback during breaks and so much more: the settings allow you to customize playback for various occasions like practice sessions, endurance training and even competitions. 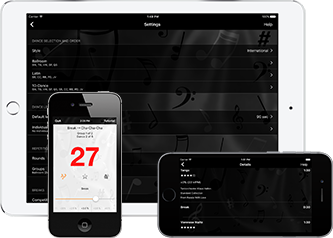 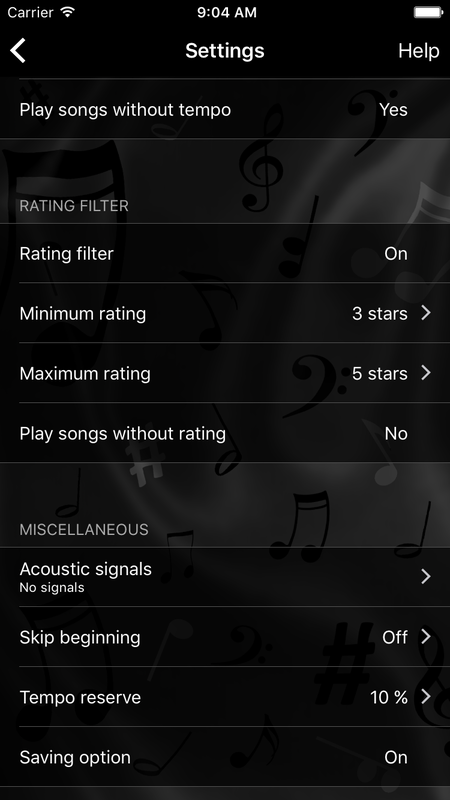 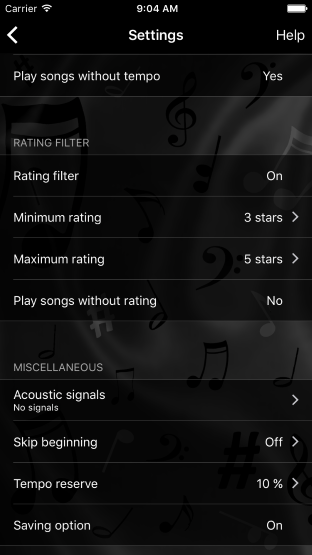 Automatic tempo adjustment and loudness correction, song selection based on tempo and ratings, overlay of acoustic signals and more. 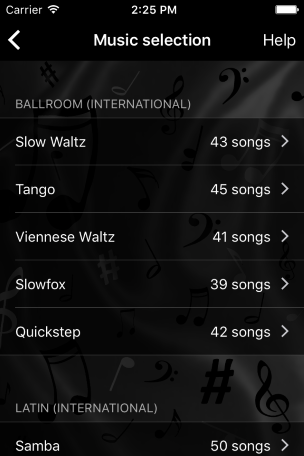 OnTheFloor has great features that most playback devices lack. 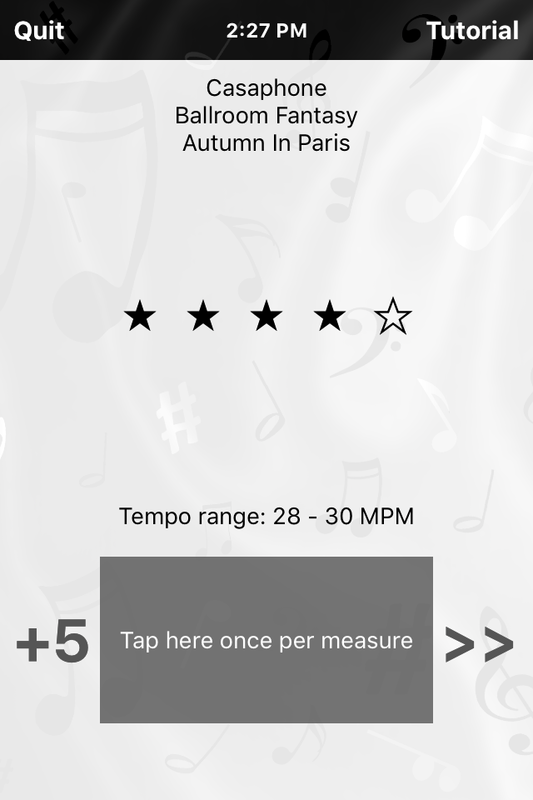 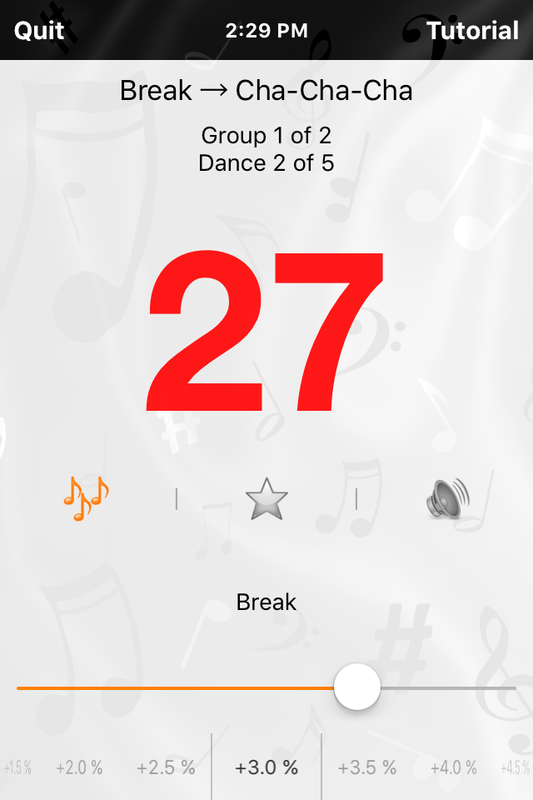 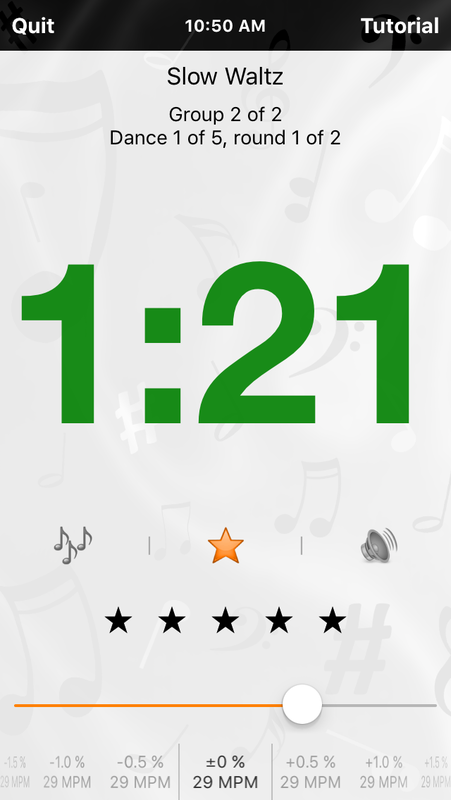 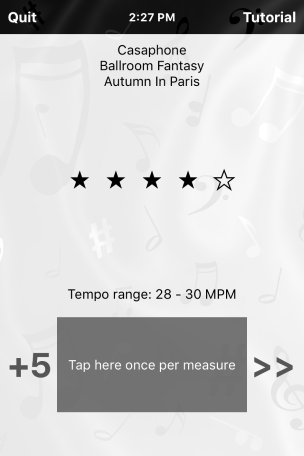 Use gestures to pause and resume playback, skip dances, rate songs or change their tempo. 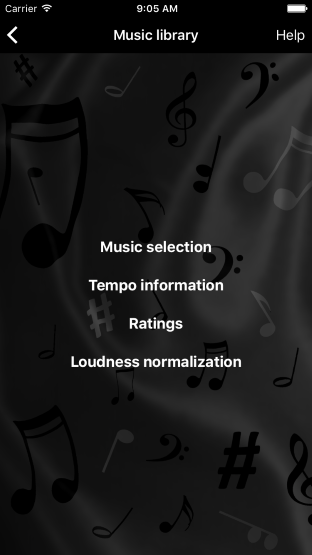 Get all important information at a glance while the music is playing. 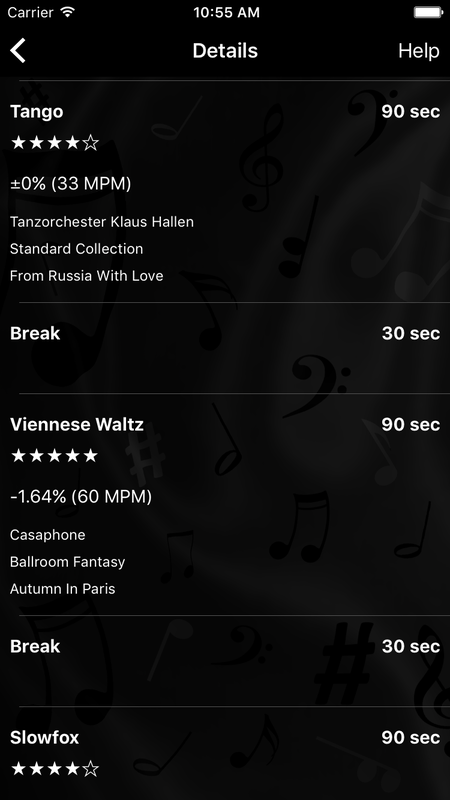 OnTheFloor's player makes all that really easy for you. Tap one of the iPhones in the slideshow at the top to see the individual screen at full size. 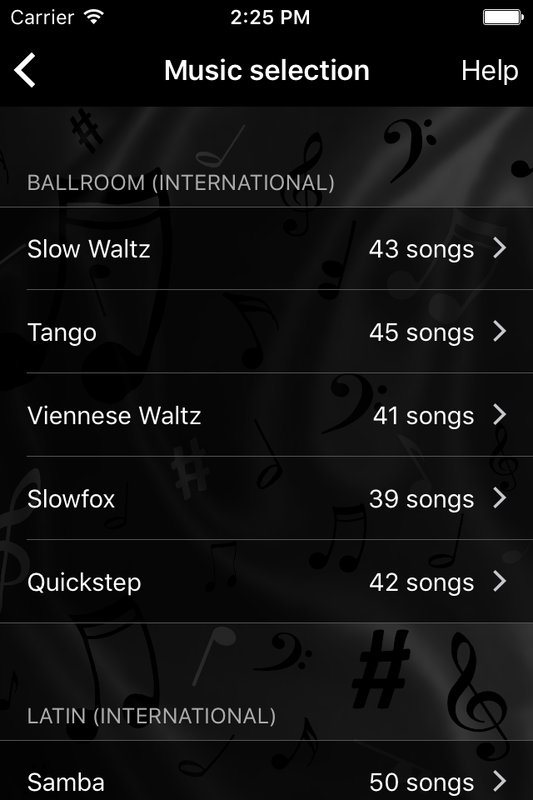 OnTheFloor requires iOS version 7.0 or higher. 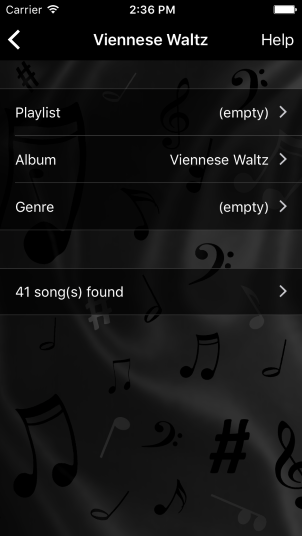 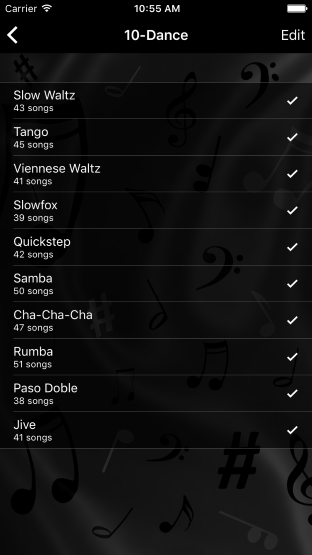 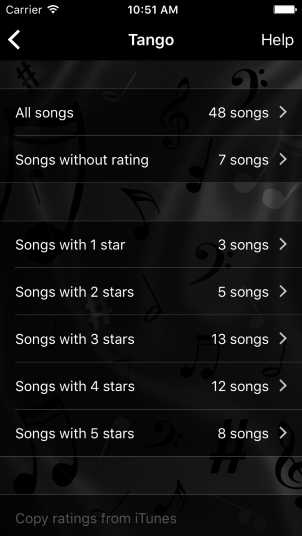 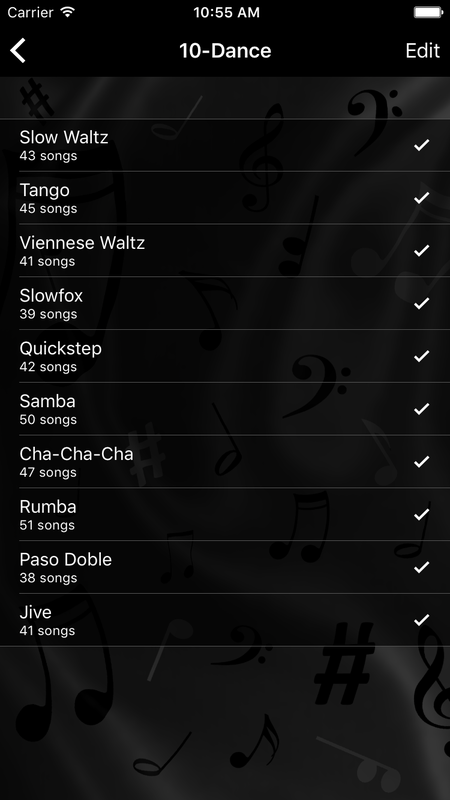 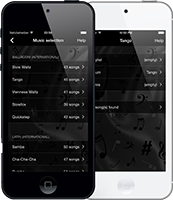 The app does not include any music tracks, so the music library on the device needs to contain suitable dance music. 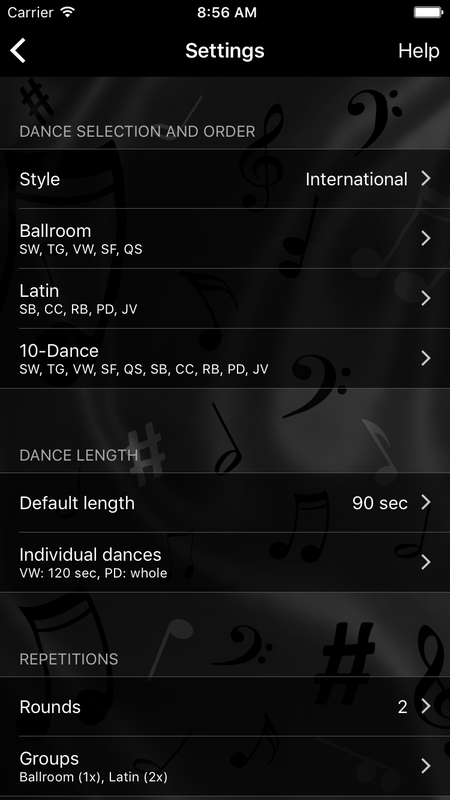 OnTheFloor is available on all supported devices via the App Store. Visit OnTheFloor's Facebook page, become a fan and support us by letting other people know about the great features OnTheFloor has to offer.